Forget Goal Setting Theory, What Do You Really Want In Your Life? 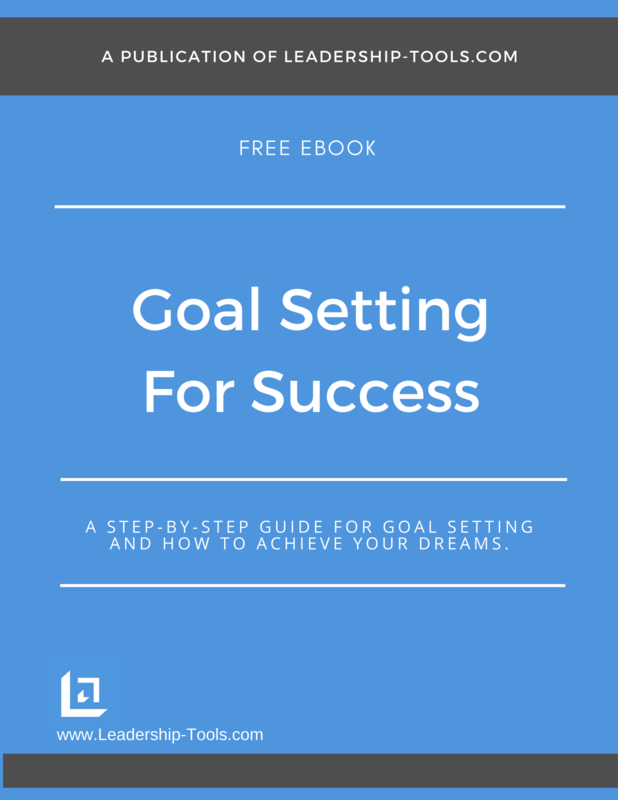 More than a goal setting theory; our free ebook, Goal Setting For Success provides a valuable tool for aspiring leaders. In this next section, you'll learn how to identify the key categories of your life and begin setting clearly defined goals in each important area. Success in life requires goal planning in all life categories. 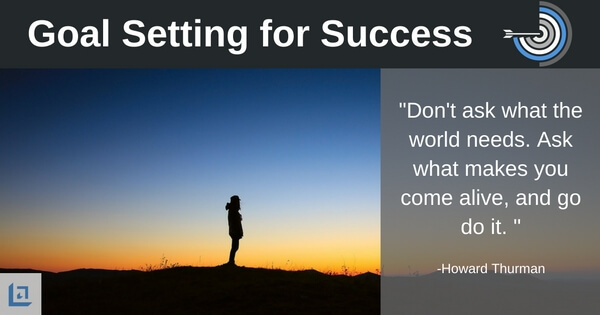 As you continue the goal setting process, it's imperative that you identify each of the most important areas of your life. If you are working on goals in only one key area of your life, you are actually lessening the value you feel about the overall balance of your life. Each category of your life that you ignore when goal planning will become the source of stress regret. For example, if you fail to establish goals in the area of your finances, then financial troubles are likely to occur. If you avoid taking proper care of key relationships, that too will become a personal source of pain. Another example would be if you ignore your personal health, you become more susceptible to disease, malnutrition, obesity and loss of muscle and bone density. "In order to avoid an unbalanced life experience, you need to consider establishing life goals in every major category of our life." The good news is that whatever you focus on, you'll naturally gravitate toward achieving results in that area of focus. The key is to achieve and maintain a healthy balance. Too often we put everything we have into our profession at the expense of the quality time we could be spending with our family and friends. Like we said, this goal setting process is more than just goal setting theory, you have to first clearly identify your goals for each of the key categories of your life, and then start putting your goals into action. It's not the goal setting theory that is important - goal attainment is our definition of success. While goal setting theory helps you to be more knowledgeable, it's your actions that will ultimately make the difference in your life. Earlier you wrote down 3 things that would really make happy and why it's important to you to achieve those goals. Now let's expand your thinking as we break your life goals down into these seven important categories. Under each of the above life categories, ask yourself if you are fully satisfied and currently experiencing the level of fulfillment that you desire right now. If not, then begin to assess your goals in this area for what needs to change and for what you can do immediately to begin the process of improving this category of your life. There is a goal setting theory that says the more clearly defined your goals are, the more likely you will be to take action on your goals daily. Therefore, take some time to break down your goals into bite sized action steps for greater clarity. We'll talk more about this later on. NOTE: Be sure to write down your thoughts for each life category as you'll want to refer back to this in future chapters. Later we'll provide you with some very helpful goal setting tools, so keep reading. "In life, as in football, you won't go far unless you know where the goal posts are." Success Lesson #3: Continuous Improvement Always! Did you know there is another goal planning theory on motivation? It basically says that your level of motivation is directly linked to your chances of achieving your goal. 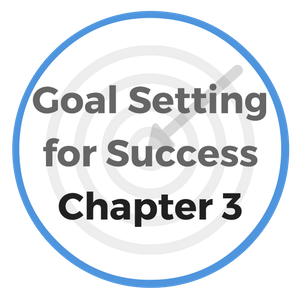 Goal setting sounds great in theory, right? However, when it comes down to actually doing the hard work to identify, plan and take action on your goals, that's when most people fail to continue the process. Staying focused and motivated is why we provide Success Lessons in each section of Goal Setting for Success. As we stated earlier, it takes more than just goal setting theory, it takes a real plan that is actionable and that helps keep you focused on what's truly important. So forget goal planning theory for now and let's just get motivated to stay on track. If left at rest, the purest of water will eventually become stagnant. Along the same vein, the most talented and able individual - if not continually pushing to learn and grow, will undoubtedly begin to diminish in strength and vitality. "Set your goals high, and don't stop until you get there." You must start out each day with determination to improve upon the day before. Commit yourself to leave the office, your home or any other place of interest just a little better; a bit more informed; better skilled and of greater value to others that you were the day before. This habit of always improving things, of setting the bar always a little higher, making everything just a little better, is contagious. If you are constantly doing this, your employees, your children, all who you come in contact with will catch the fever and begin to work to improve themselves. "Follow the principle of I.C.A.N = Improvement: Continuous and Never-Ending"
Becoming the man or woman who is a perpetual inspiration to everyone around him or her, has a tremendous advantage over the one who is constantly a depressant, or who kills the ambition of others through their regular criticism and harsh judgments. If you can influence people around you to do their best work voluntarily, you will have powerful allies in your work and in your home. Indeed, this is a trait of a leader.